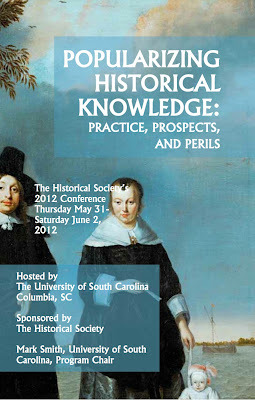 On the fence about whether or not to attend the Historical Society's 2012 conference? We have extended the deadline for early registration. So, head over to the Historical Society site and sign up. The PayPal setup makes it a cinch to register. Also, check out the program, with many of the papers now on-line. "Whose History Is It Anyway? Reaching Real People"
"The Politics of Dead Knowledge: What If the Death of History Is a Suicide?"